We have selected some of our favorite wearable accessories to create this grouping. When you are on the road there is nothing better than a beautiful, easy to use scarf or our amazing Vest-S-Cape to expand your wardrobe. 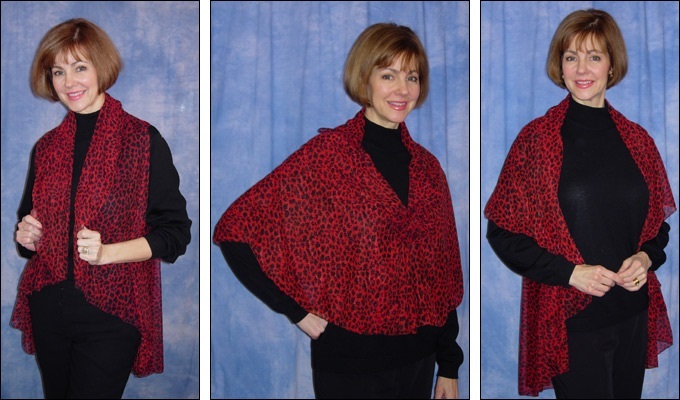 The easy to make Vest-S-Cape will become a wardrobe favorite. Wear it as a simple cape or quickly change to an assortment of vest looks to wear over a basic dress, pants, or even a swimsuit. Make one of these and you will wonder how you lived wth out it for sure.